A few months ago, H.A. 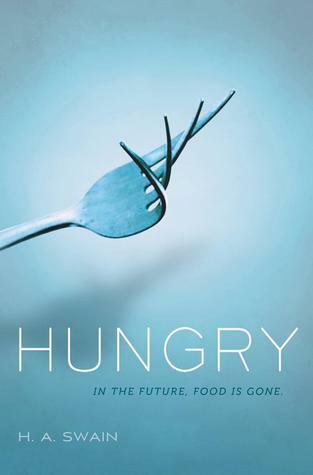 Swain submitted information to us about her novel Hungry, a dystopian tale about a food crisis. We have finally got a chance to interview her and find out more. Mary: Publishers Weekly said that in your novel Earth has been destroyed by wars and storms. Is this purely an imaginative future, or are your speculations–in your mind–plausible? H.A. : Good fiction is largely about drama. What I try to do is take issues I have a personal connection to (in the case of Hungry I was thinking about environmental problems and food rights) and exaggerate them for dramatic effect. Do I think we as humans could destroy all flora and fauna yet find a way to survive? Probably not, but it makes for a good story that gets us talking about what we could do better now to ensure that we don’t screw it up for the future. That said, I did a ton of research so that what I wrote could be scientifically plausible. It’s important to me that the future world building I do in my work is based on science we have today. Mary: Hungry is a novel directed toward teens and young adults. Have you had much feedback from that age group about their thoughts? Do you think that the novel scares them–or enlightens them? H.A. : I’ve had the good fortune to do some school and youth project visits for Hungry. It’s always amazing to meet the kids in person that I’m writing for. I think, as a culture, we consistently underestimate the intelligence and curiosity of teenagers. We think that because the biggest selling YA books are romances about vampires, that teens don’t care about issues. But that’s not true. We all like to be entertained sometimes (who doesn’t like a good vampire now and then), but for the most part I find the young people who’ve read my work to be thoughtful and articulate about their concerns for the future. I’m thrilled when my work becomes a part of an existing conversation they’re already having. 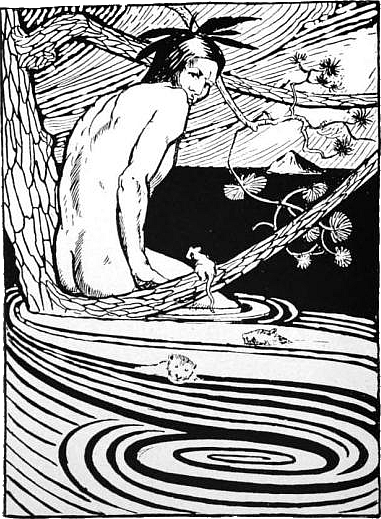 Mary: Ursula Le Guin recently stated that literature and films coming out about climate change and apocalypses are becoming more popular but that we humans still find it hard to accept these scenarios as real. We see them as entertainment (I’m just paraphrasing). Do you think it’s possible when writing to bring these issues down to reality? Or do you think that we’re just too overwhelmed by it all and separate ourselves? H.A. : It’s funny, I almost see it as the opposite. I think the reality of climate change and the impact it’s having on our daily lives feels so overwhelming to people that they want to ignore it. Superstorm…just a fluke! Mono-crops…we’ll all eat corn! Wars over water…not where I’m from! But fictionalized accounts (aka entertainment) help people wrap their heads around the larger picture. What’s missing, though, is a way to connect the dots for people. I wish there were a better way to say to young readers, If you think the scenario in Hungry could really happen, what changes could you make in your life to stop it from becoming reality? Mary: In your book, most resources seem to have gone away due to ecological crises: flora, fauna, etc. That means that there is no more food. But a big corporation has synthesized a type of food. Can you talk about this fake food? H.A. : In the book, people drink a product called Synthamil and get regular inoculations to control their hunger response so they no longer have an urge to eat. The idea is that Synthamil provides all their nutritional needs so everything food-related has gone away. I’m a very food-centric person so it was great fun to think about a world in which no one would eat. I had to reorganize my ideas about culture and language. For example, if families no longer have meals, what brings them together and what are their houses like? If there are no restaurants, where do people socialize? If there is an entire generation who’s never eaten then language would begin to shift. You wouldn’t call someone honey or sweetie if you’d never tasted such a thing. Coincidentally, after I turned in my first draft of the book, there was a lot of press about a guy who claimed to have developed a nutritional beverage that he lived off of for a month or so. My editor and I cracked up because it was as if someone had actually invented Synthamil! Mary: What are your thoughts about this dilemma: humanity has destroyed many of the world’s resources, yet a lot of technology remains. Do you think this is realistic? H.A. : Goodness, I hope not! I don’t think we’d fare well as a species even if we could find a way to survive in that scenario. There’s so much new research out there that shows how our bodies respond to nature. If you go outside under the trees, your cortisol level immediately drops, you feel less stressed, you create more white blood cells which fight things like cancer. We’re a part of nature and belong in it, and there’s no technology that can replace that. But, I’m enough of a optimist and a believer in the power of science to think it’s possible there will be technology that could help remedy some of the problems we’ve caused on the planet. Is that naive? I hope not! Mary: Great answer about the benefits of us getting out into nature! Is your book also a romance? How much can you tell us without spoiling it? H.A. : If by “romance” you mean “girl meets boy, girl falls for boy, girl and boy have a falling out, will girl and boy reconcile” then yes, we could call Hungry a romance. However, I’m more interested in how people really act than romanticizing a relationship. Both Thalia and Basil are flawed, and they’re teen-agers! They make mistakes. They misjudge situations. They get mad at one another and they don’t always do the most romantic thing because they’re under a lot of pressure trying to save their own butts. I love that aspect of their relationship. They feel very real and complicated, which for me is more satisfying than thumping hearts and unicorns jumping over rainbows because two people are in love. Mary: Some media reports that your writing reminds them of Lois Lowry’s in The Giver. Were you inspired by her? What other authors do you look up to? H.A. : Reading that my work had been compared to Lois Lowry’s was a highlight of my writing career. I admire her tremendously! And not just for The Giver series but for the breadth and depth of her career and how many topics she’s taken on. I think she’s an enormous influence to many people who write for children and teens. The other books that I was thinking of when writing Hungry were dystopian fiction I read as a teen such as Brave New World, Animal Farm, 1984, Sirens of Titan, and Atlas Shrugged. Those mid- to late-20th century books posited the government as the bad guy, and it makes sense historically because those authors were reacting to the rise of totalitarian governments and fears of communism. But what I fear today is the shrinking of government and over-fettered growth of giant corporations. So, in my book, it’s the giant corporation that becomes the boogey man, not the government. Mary: Well, it seems like you’ve written a great novel that has gotten good reception and has been described as being particularly great with detail. What is your writing process? H.A. : I usually start out with a clear vision of a main character, her problem, and what the ending will be. Then I spend a lot of time walking around, muttering to myself that I have no idea how to write a book, that the last book I wrote was a fluke, that I’ll never be able to pull it off again–and then finally, when I get tired of that, I sit down and get to work. I spend a lot of time plotting novels before I begin the actual writing. And then, in the process of writing, I usually throw out most of the plot I had developed. It’s terribly inefficient! But, I’ve learned over the years that I need to read what I write to know what I think and I need to allow the story to develop as I go along. Sometimes I feel like the book I want to write is hidden inside a room in my subconscious and my job is to keep tunneling through my brain until I find it. And the only way I know how to do that is to sit down every day and write. I also do a lot of reading and research, which I find very enjoyable. I love to meld my interest in science with my passion for fiction. Mary: Are you working on anything else right now? Mary: Please let us know (when you can) about your new novel. Now I’m very curious! Thanks for your wonderful insight into Hungry, and best of luck with your future writing. Hey! I just finished reading Hungry and I just loved it! It wouldn’t let me go until I finished it! It was amazing and very interesting, with a lot of action and a little romance and I just loved it. I would just want to know if there will be a sequel, because I would totally buy it. Does find her family again? Does One World get totally wrecked? Are Thalia and Basil just going to stay in Canada forever? Does Yaz ever meet anyone? What ends up happening with TheFarm? Who wins the war, TheFarm or One World? I bet there are many more people with these questions and more, and it would be so awesome if a sequel for Hungry came out. Thank you!